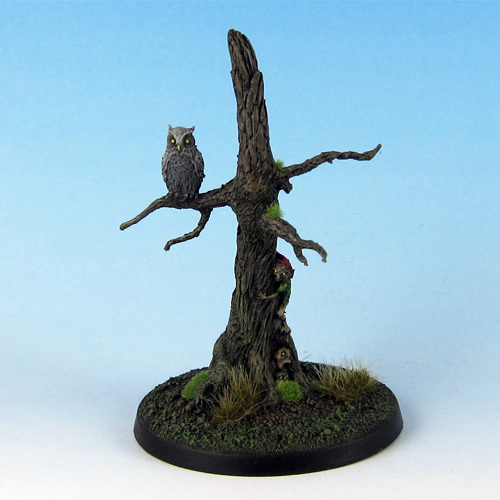 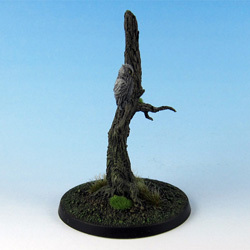 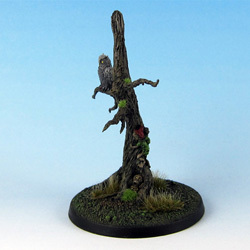 The second mini in the series of fae trees from Mannikin Studios. 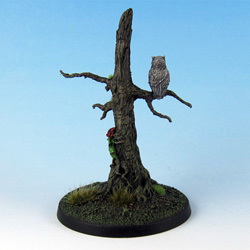 This mini was a bit more disappointing than Grimm’s Cat. The detail is still very good, but besides some flash this mini showed a noticeable mold line. Based on a 40mm base with some MiniNatur elements. Grimm’s Owl was sculped by Jody Siegel.